Most of the books from this month's haul is actually purchased near the end of April because I got some discount for my birthday. And to be completely honest, I didn't buy that many books this month. 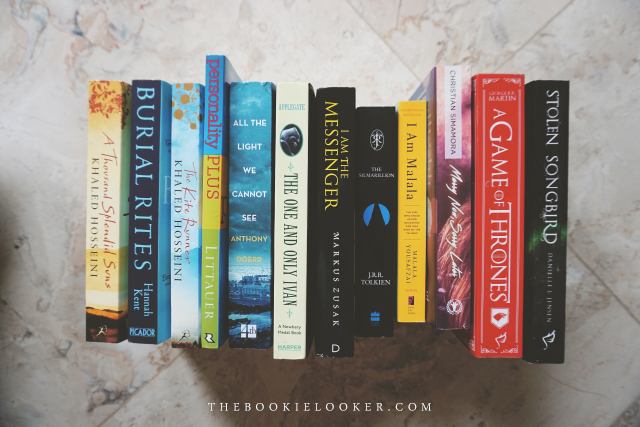 In total, my pile of May book haul consists of 14 books (2 books are missing from the picture above): I bought 9 English books and received 5 Indonesian books. 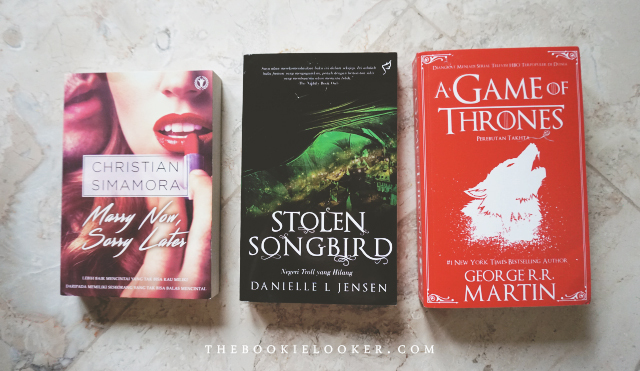 Although I got quite a lot of books, I'm really satisfied with my purchase and am very excited to read them :D So here are my new books in the month of May! 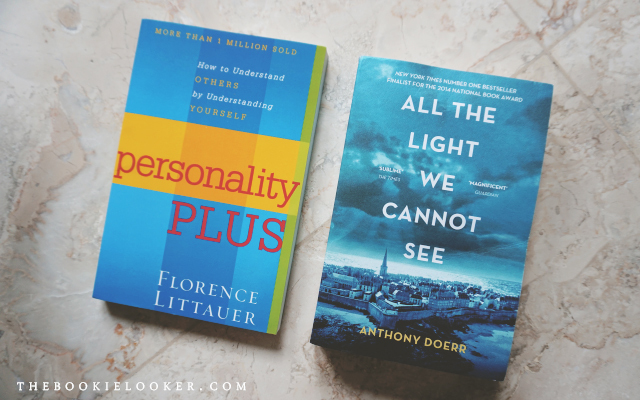 These three books I ordered through Book Depository's April Bargains. I actually already own a mass market paperback copy of The Kite Runner and have already read it, but it never hurt to have an extra copy of my favorite book ♥ This book is heart-wrenching and really stirred my emotions. Definitely need to re-read it one day. Another one by Khaled Hosseini which I also got from Book Depository's April Bargains. I also already have a copy and read this book as well, but it was quite cheap so I thought 'what the heck, I'll just buy it.' 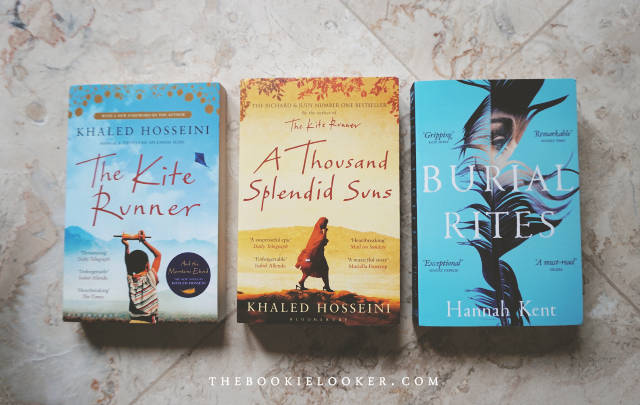 This is also one of my favorite books and I might want to re-read it as well just to experience it all over again :)) For those of you who never read Khaled Hosseini's books, I really recommend them because he's a very talented author and all his works are so so beautifully written. I actually pre-ordered this paperback copy from Book Depository for quite a reasonable price; because if I had purchased it in Indonesia it will be a lot more expensive. This book is really really popular these days and a lot of people are in love with it. 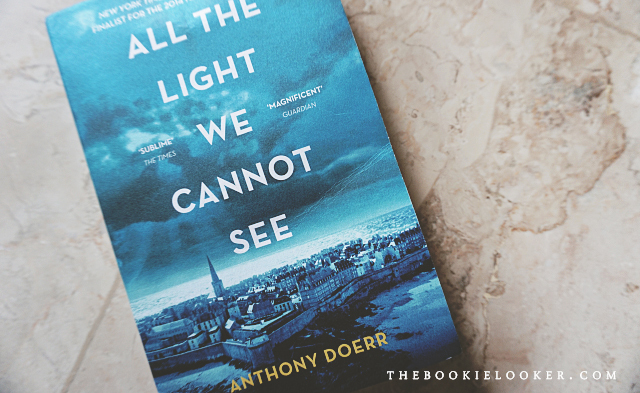 It's a historical fiction book which I'm sure will be heart-wrenching and emotional. Totally my favorite kind of book. Hopefully I can pick this book up within this year. I am currently collecting J.R.R Tolkien's books in this edition and I got this at Kinokuniya Bookstore while I was in Jakarta for a short trip. I was hesitant for quite some time because I'm not even sure whether I'm really interested in reading this book or not. But oh well, I finally got it in the end. I'm not sure when I'll read this one though. Another one that I've been wanting to read for so long! I also purchased this book at Kinokuniya Bookstore, and since it's a mass market paperback edition the price is quite cheaper than the regular paperback. I really admired Malala as a person and I think her book will be really inspirational to read. It's been a while since I read a non-fiction book, and I think I'll be picking this up very soon. I loveee The Book Thief. And so when I discovered this book at Periplus Bookstore, I decided to buy it—especially because I had a 15% discount since it's my birthday. 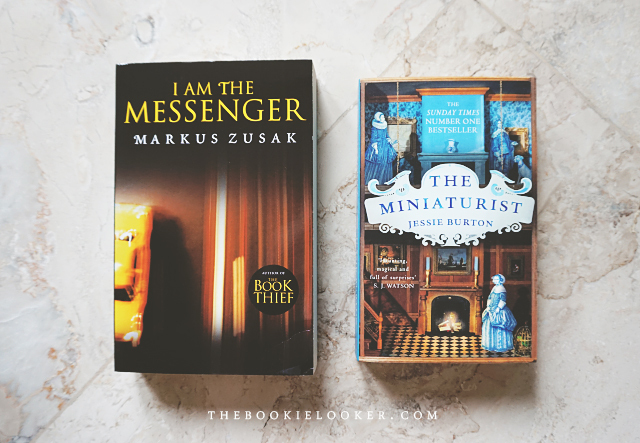 I heard this book is very different from The Book Thief, but I'm really interested to read Markus Zusak's writing again :) I guess I'll just have to see whether I will enjoy this book or not. I also got this one from the same purchase at Periplus Bookstore; definitely taking advantage of the discount. I've seen this book often at the bookstore but I was always hesitant about buying it because I don't know if this book will be my cup of tea. But that cover is so beautiful, though. Anyways, this is a historical fiction story with magical realism mixed into it. Quite interesting. 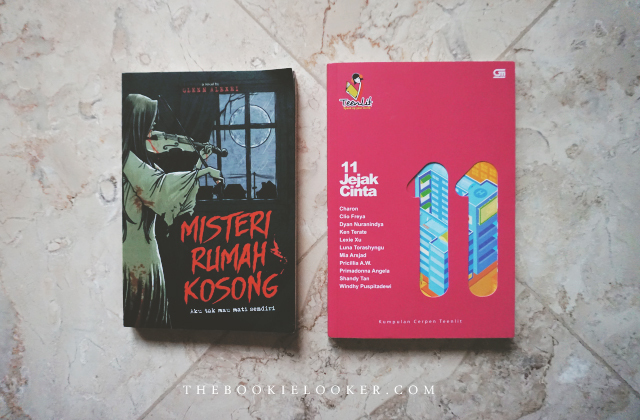 I was offered by Mery Riansyah, a representative of Fantasious publishing company, to review this book as part of an upcoming blog tour event. I was never offered a translated book before, so of course I gladly accepted it. I'm still unsure when the blog tour is going to be, but probably in the upcoming month :) So stay tuned for that! Those are all the books I got in May! 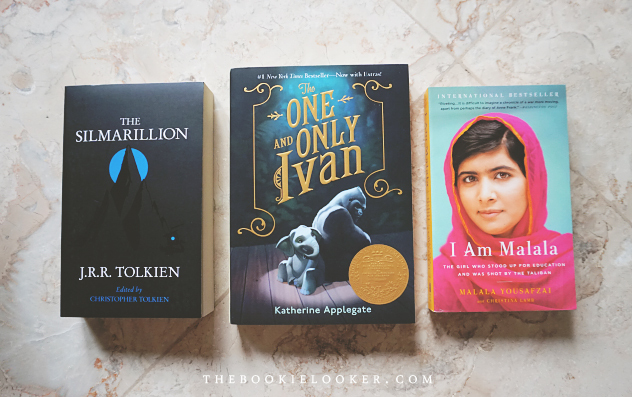 Hopefully next month it won't be as crazy... Have you read any of the books I hauled this month? 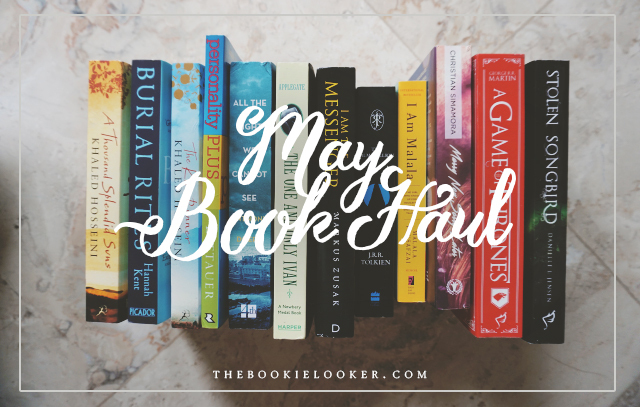 Or did you make any book purchase in May? Feel free to share your thoughts or your book haul posts in the comments below :) Okay, bye now!